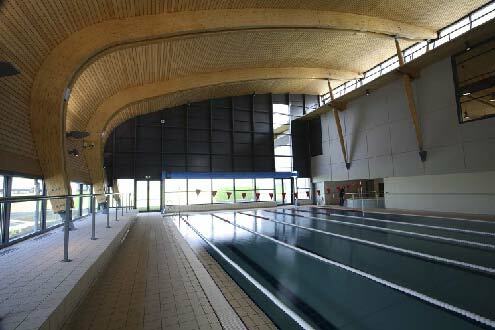 This timber swimming pool building is formed from overlapping shells that allow a clerestory window to get indirect light into the pool hall. This is a building that appears to be light and airy which is therefore reducing the building’s dependency on artificial lighting. 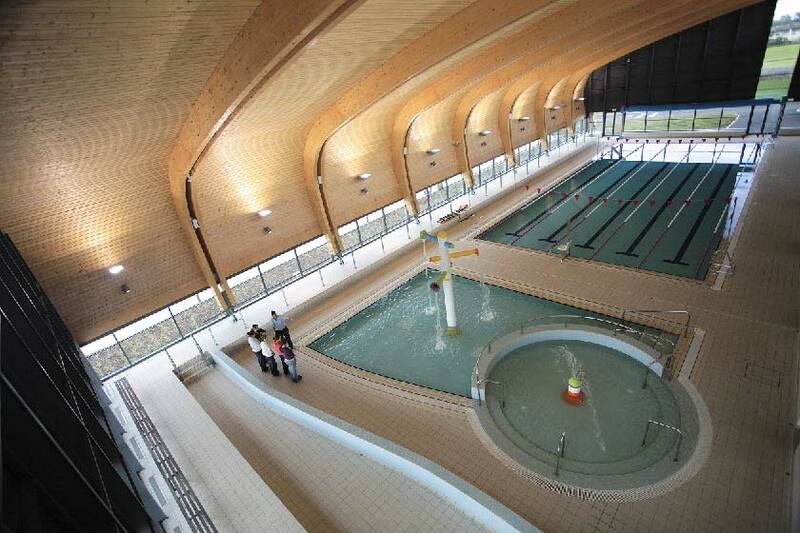 There are two main swimming areas in the building, both of which were fitted with new water and heat pumps. Wall mounted LED lighting was installed on both sides of the pool as a light substitute for the solid wall on one side of the pool which was limiting the amount of natural light. 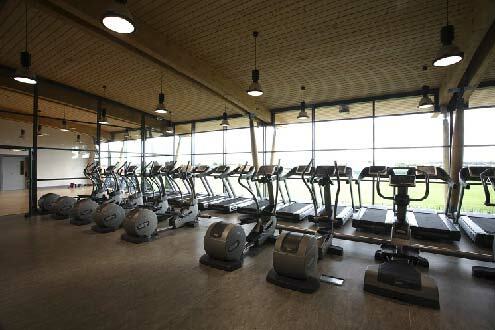 The gym area has a large number of windows on one side, making full use of natural light. On the other side of the room, ceiling hung lighting is the only source of light. 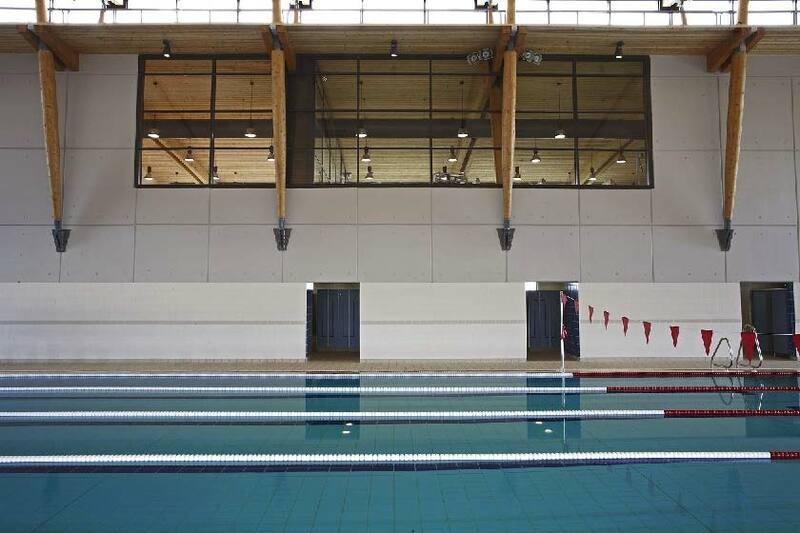 Emergency lighting and signage and fire detection systems were updated in both the pool area and gym area.